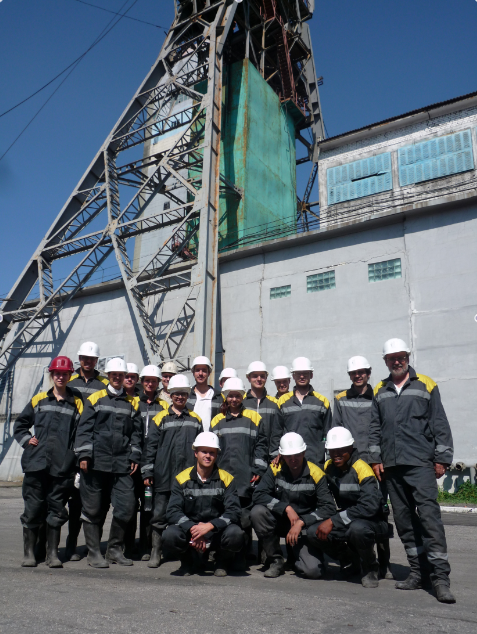 From the 25th of August to the 5th of September 2012, the institute for open pit mining and drilling technology (BBK III) undertook a field trip which led into the Ukraine. Under direction of professor Niemann-Delius, four scientific reserachers of the institute and further ten min-eral resource engineering students from different semesters participated. The field trip comprised a period of twelve days. The travel route is shown in the illustration. Stops on the trip were the cities Dnipropetrowsk, Komsomolsk, Krivoy Rog and Ordshoniki-dze as well as six surface and underground mines, the University of Dnipropetrowsk and furthermore several cultural and mining historical relevant museums and exhibitions. During the first days, the heavy mineral sand open pit Malyshey of the Vilnohirsk Mining & Metallurgical Plant (VSMMP) in Volnogorsk was visited. For the stripping, bucket wheel ex-cavators with walking mechanism and draglines for the extraction of the fluvial deposited mineral sands are used. The next stop on the trip led to Krivoy Rog from where three iron open pits were visited in the following days, two of which are in the immediate vicinity of Krivoy Rog and one near Polto-va. In addition, the processing plant at the open-cast mines and a pelletizing plant were visited. 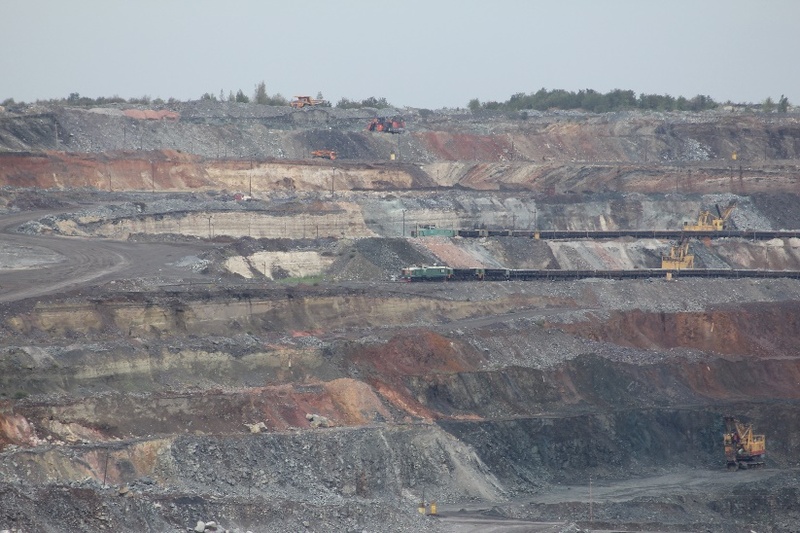 In the open-cast mines Inguletsk and Poltova trains are used for overburden transport, which are charged by cable excavators. 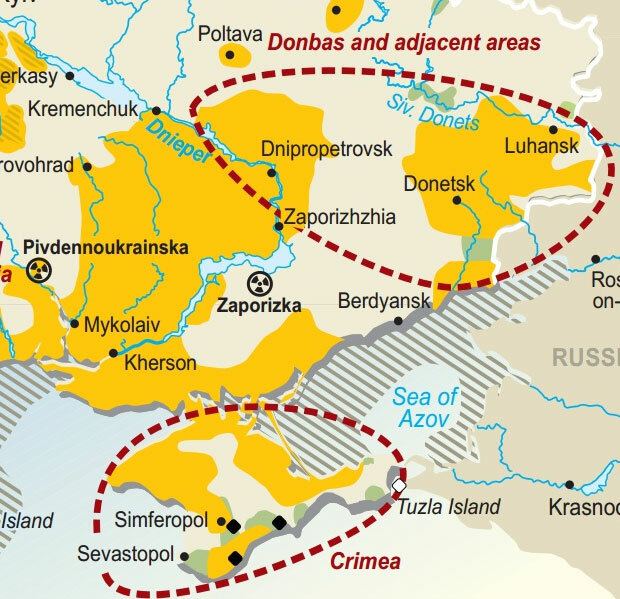 The most significant extraction of manganese ore occurs near Ordzhonikidze, where around 900 tons of manganese concentrate are recovered each year. Both the open pit, in which mostly draglines are used, as well as the processing plant were visited as part of the field trip. 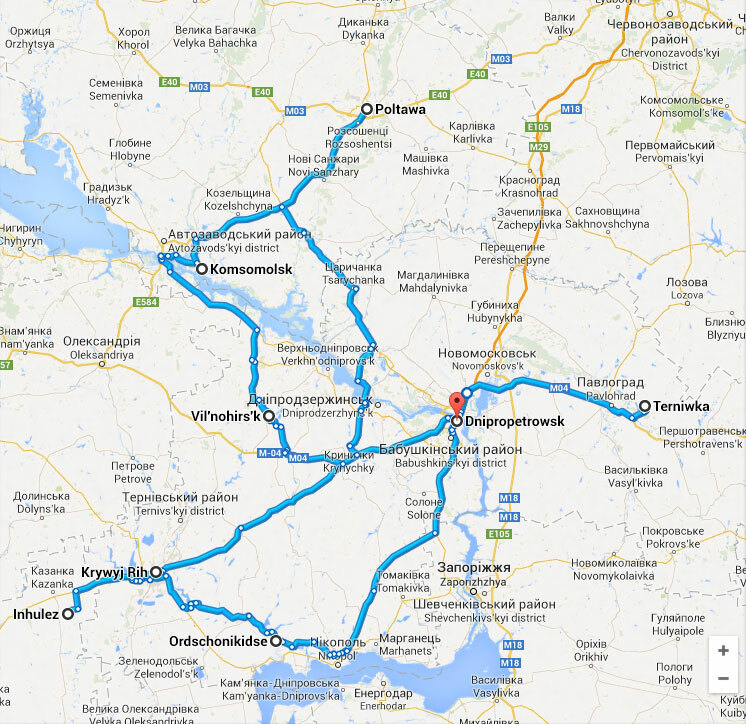 The last stop on the trip was made at the coal mine Pavlohrad Ugal, which lies about 100 km east of Dnipropetrowsk. There are eleven seams in the mining area of which currently only three are mined. The seams have a dip of 4 gon and a thickness from 0.7 to 1 meter. The extraction is carried out up to 500 meters in depth.